Florida bicyclists beware: Recent statistics released by the National Highway Traffic Safety Administration confirm our place as the deadliest state in the nation for bicycle accidents. Florida had almost 17% of all the fatal bicycle accidents in the United States — or nearly 1 in 5. 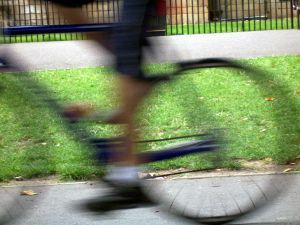 The state’s 107 fatal accidents made Florida the only state to report more than 100 deaths from bicycle accidents in 2009. California was second, with 99. 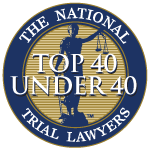 Our Fort Myers accident attorneys continue to represent cyclists who are injured or killed because a motorist either lacked respect for a rider, or simply was not paying attention. There were 630 fatal bicycle accidents in 2009 and another 51,000 riders were injured on our roadways. That’s down from the 718 in 2008 and the second-lowest total in more than a decade. With the increasing popularity of riding for fun and fitness, the average age of accident victims continues to trend upward, reaching 41 for those killed and 31 for those injured. -70% occurred in urban areas. -67% were killed at a non-intersection location. -72% were killed during the day between 4 a.m. and 8 p.m. (a 6% increase from 2008). -Average age of those killed was 41. -87% of those killed were male, 80% of those injured were also male. -40% of crashes involved alcohol either by the driver or a cyclist. Wearing a helmet every time you ride is the best way to prevent a head injury in a crash. Cyclists must ride in the same direction as the flow of traffic and must obey the same rules as motorists. Cyclists need to do as much as they can to increase their visibility: wear brightly colored clothes at all times and mark your equipment for higher visibility with reflective tape, reflectors and flashing lights. We all need to share the road. Drivers must watch for cyclists when making turns, exiting a parking space or opening car doors. When passing a cyclist give them room, allow about 3 feet between a rider and your vehicle. And don’t forget to yield to them at intersections when directed to do so. Associates and Bruce L. Scheiner, Attorneys for the Injured, is a law firm dedicated to representing accident victims throughout South Florida, including Fort Myers, Cape Coral, Naples, Port Charlotte and Sebring. Call for a free and confidential consultation to discuss your rights at 1-800-283-2900.